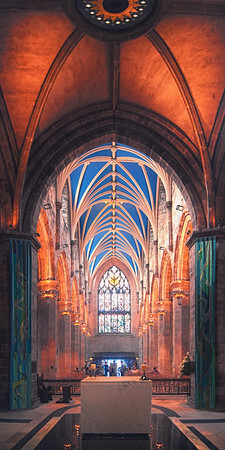 My parents and I traveled to Scotland and Ireland in 2013. These are photos from that trip. 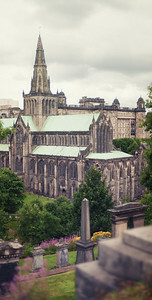 Glasgow Cathedral as seen from the Necropolis. 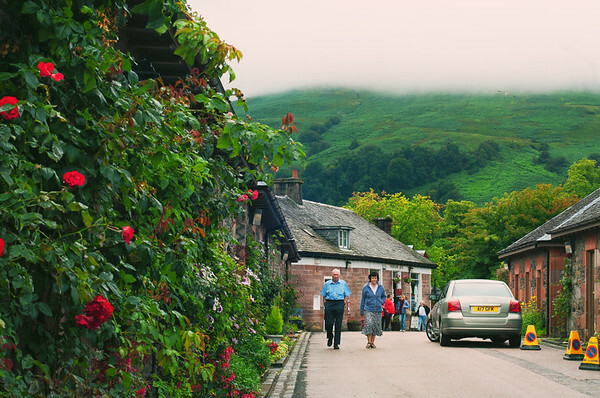 A street in Luss, by Loch Ness. 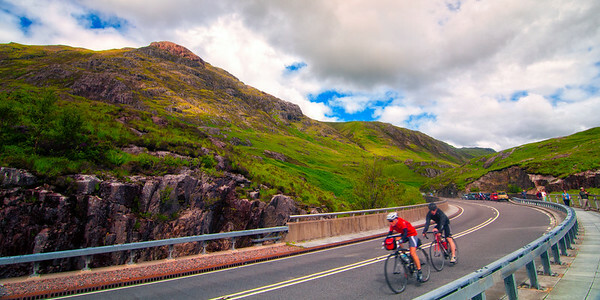 A couple cyclists in the Scottish highlands. Went out behind the Glencoe Visitor Centre and thought the view was stunning. 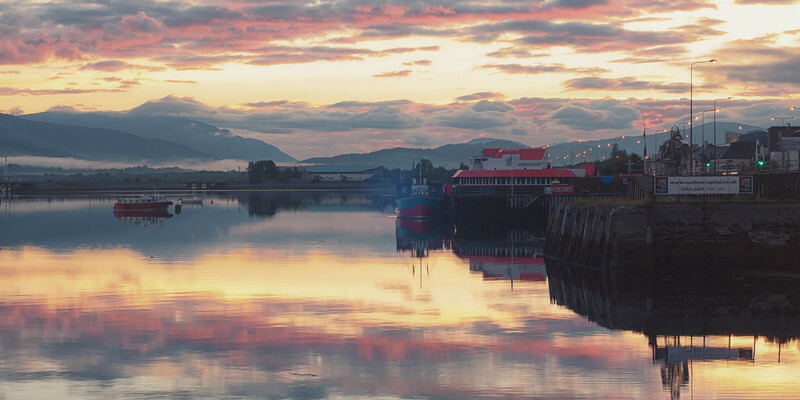 Left the hotel around 4:30 in the morning to get out and get some morning shots of Fort William. 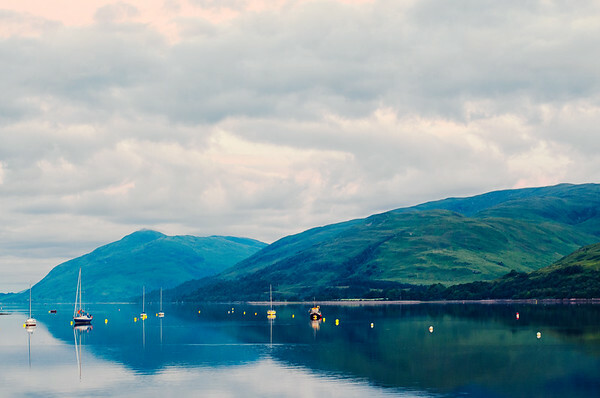 Another shot from an early morning walk in Fort William in Scotland. Taken from the Cluanie Inn in Glen Moriston, along the A87 in Scotland. I loved how lonely the highway looked, winding off into the distance, below the peaks. 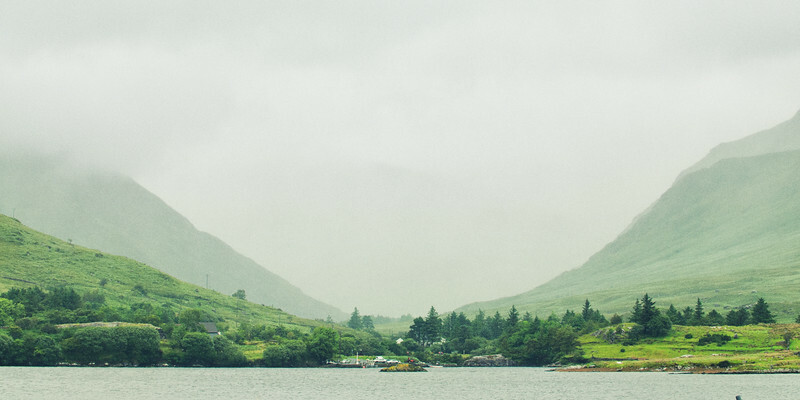 Somewhere in Ireland. Unfortunately I didn't keep track very well. But I think this was somewhere on our way to the Cliffs of Moher. If I remember correctly, I had to pay a little bit to photograph inside, but it was totally worth it! Beautiful structure. The cliffs, on a rainy day, with water on the lens. Magnificent place. I think I would have been disappointed to be there on a sunny day. 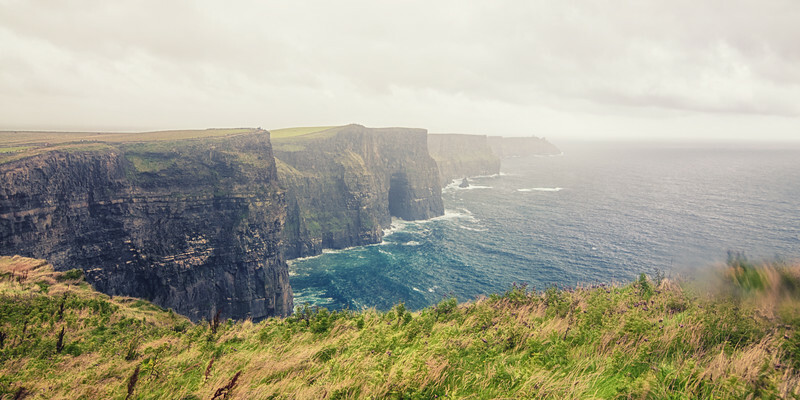 There's something about the fog, the clouds, the rain, the gush of the ocean, the massiveness of the cliffs, the roar of the waves, that evokes melancholy, dread, and excitement. 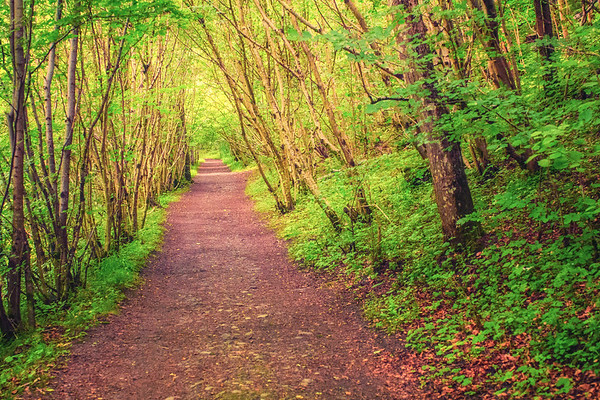 Rented a bicycle and went on a beautiful ride from Pitlochry, in Scotland.